This is the seventh article about various countries' navies today. 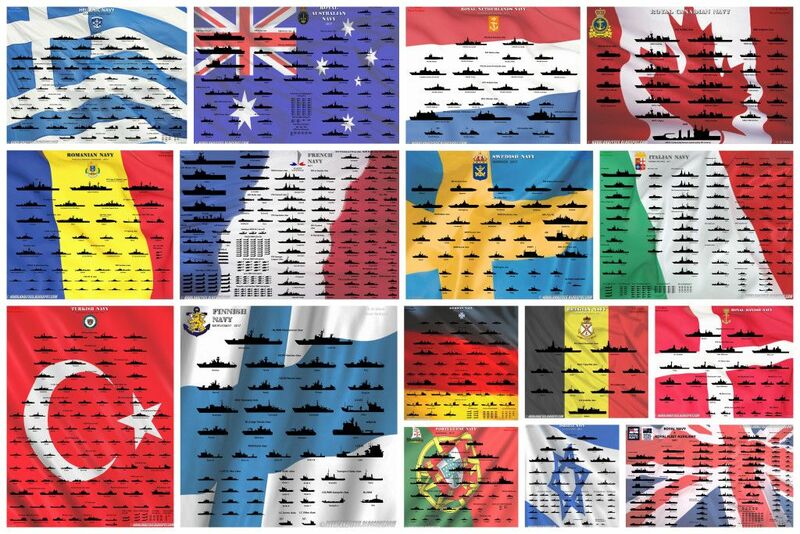 In these articles, I briefly describe a country's naval fleet by reporting the ships in each type/category of warships and by providing a nice image where all the types of warships are illustrated and the units of its class are reported. I include the vessels that will enter in service this year and I have excluded those that are about to be decommissioned. I deliberately excluded many classes of auxiliary ships; those that they have "0" defence capacity and those that have secondary roles such as hydrographic survey ships, tugs, depollution vessels and training ships. This is the sixth article about various countries' navies today. 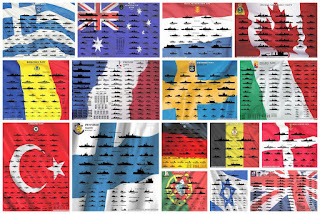 In these articles, I briefly describe a country's naval fleet by reporting the ships in each type/category of warships and by providing a nice image where all the types of warships are illustrated and the units of its class are reported. I include the vessels that will enter in service this year and I have excluded those that are about to be decommissioned. I deliberately excluded many classes of auxiliary ships; those that they have "0" defence capacity and those that have secondary roles such as hydrographic survey ships, tugs, depollution vessels and training ships.